President Muhammadu Buhari expressed fears yesterday that the opposition in the country has stupendous resources at its disposal in preparation for the 2019 elections which the ruling All Progressives Congress , APC, may not be able to match. “It is you who are fighting it and I cannot thank you enough for that. Most of the people I jailed have been given back all that they had taken before I was jailed”. The President then went on memory lane on the decision he took as a military head of state where he ordered the arrest, detention and prosecution of those who allegedly looted public funds, but also noted that those who were found not guilty were discharged. He said the group had in the course of carrying out its assignment used various organs of mass communication to project the administration, stressing that it changed the negative narratives the opposition was dishing out when President Buhari went on medical vacation to London. Meanwhile, the Peoples Democratic Party (PDP) yesterday dismissed President Muhammadu Buhari’s remark about the opposition having too much money going into the 2019 elections. The party said rather than worry about the opposition, President Buhari should reckon with his failure to deliver on promises made to Nigerians during the electioneering campaign for the 2015 polls. National Publicity Secretary of the Party, Kola Ologbondiyan told Vanguard that the real fear the first citizen should worry about is the betrayal of trust of Nigerians. “He should be worried about the failure of his government, not about money in the hands of the opposition. In 2015, Nigerians trusted Muhammadu Buhari and voted him to become President and Commander-in-Chief of the Armed Forces. One clear year to the 2019 general elections, the same people have rejected him for failing to do anything meaningful to impact on their lives So, what should be his fear is the rejection by Nigerians who have made up their minds to throw him out in 2019,” Ologbondiyan said. Also reacting to President Buhari’s remark, the All Progressive Grand Alliance, APGA, yesterday, said it does not play money politics, but politics of ideology and policy formulations to deepen democracy and deliver good governance to the citizenry. National Publicity Secretary of APGA, Mr. Iheanacho Orji, faulted apprehension by President Muhammadu Buhari that the opposition has enormous money at its disposal than the ruling All Progressive Congress, APC. According to him, “How could the opposition have more money than the All Progressive Congress, APC, which controls the presidency, is it possible? In a nutshell, the President’s statement could not be factual. We know there are 68 political parties, the moment you remove PDP, you remove APGA, we have 66 other parties remaining who are not controlling executive positions in the state not to talk of presidency. “There is no way the opposition will have more money than the ruling party that controls more executive positions both in the states and the presidency. Similarly, some Civil Society Organisations have urged President Muhammadu Buhari,to focus on security and not 2019 elections. The Country Director, Actionaid, Ene Obi, in his reaction said Buhari should not be concerned more about his presidential ambition than the incessant loss of lives on a daily basis and how to ensure the recovery of looted money and conviction of looters. According to Obi the President should think more on the plight of Nigerians who are not having access to the basic necessities of life, and also to work hard for the unity and peace of Nigeria. According to her: “President Buhari should pay more attention to national security, the lives of Nigerian citizens, and the fight against corruption. He should charge the justice system to get more convictions on those who looted the economy. Recovered money should make a difference in the lives of Nigerians from where the monies were stolen from. She urged Buhari to make sure the people were carried along in his policies and programmes, and also to take care of vulnerable Nigerians, especially the internally displaced persons. In his own reaction, the Country Director, Nation First Foundation, Onianwa Elidad, said President Buhari should focus more on Nigerians and how to add value to their lives because they come first before any political ambition. “It is not good to hear this from President Muhammadu Buhari at this point. The nation should come first before any other thing, and his accusation against the opposition party could be analysed from different directions, particularly, with accusations that he has been selective in the fight against corruption. “Mr President, please, you should do what the constitution has mandated you especially in securing the lives of Nigerians, providing shelter and food for them. 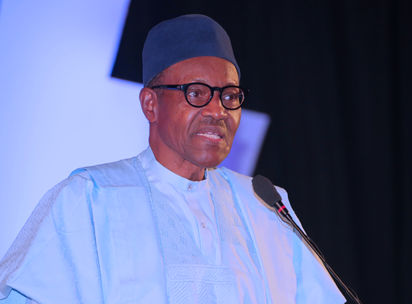 Improve on your economic policies and add value to the lives of over 180 million Nigerians”, he added.